Essex Road’s route may be of Roman origin and was certainly well-estab­lished by the Middle Ages. The road has gone by a variety of names for part or all of its length, including Seveney Street, Lower Street and Lower Road. There were some substantial properties here by about 1600 but at the end of the 17th century several of these homes had been let as inns. Rows of cottages were built from the 1760s and over successive decades the pattern of construction became increas­ingly dense, urban and poor, spreading into a network of side streets in the early 19th century. Overcrowding became a serious problem. Philanthropic housing associ­ations planned the first slum clearance programmes from the late 1870s and had almost totally rebuilt the area by the end of the century. One block south-west of the station, the Carlton cinema was built in 1930. Its Egyptian-style façade is said to have been influ­enced by the discovery of Tutankhamun’s tomb in 1922. Later a bingo hall, the Carlton was acquired by Resurrection Manifestations, an evangelical church of Ghanaian origin that has restored the building and converted it into a place of worship. It is also available to hire as an events venue. After the Second World War much of the Essex Road area was rebuilt again by the borough and county councils, notably in the form of the Marquess estate of the 1960s and early 1970s. Private developers have been adding townhouses and compact apartment blocks since the 1980s. 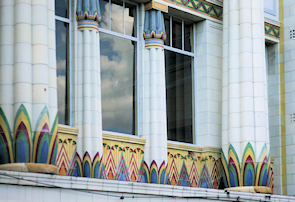 Essex Road nowadays possesses a diverse set of commercial premises, from dirt-cheap discount stores to exclusive little French bistros and quirky antique emporiums. Many shops occupy single-storey exten­sions built over the former front gardens of terraced houses. The more inter­esting estab­lish­ments tend to lie near Islington Green but these are spreading north-eastward with Islington’s ever-growing desirab­ility. In 1807 the poet Thomas Hood moved to 50 Lower Street with his parents, remaining here for 20 years. The composer Benjamin Britten had a studio in Halliford Street from 1970 to 1976. His opera Death in Venice was partly composed here. 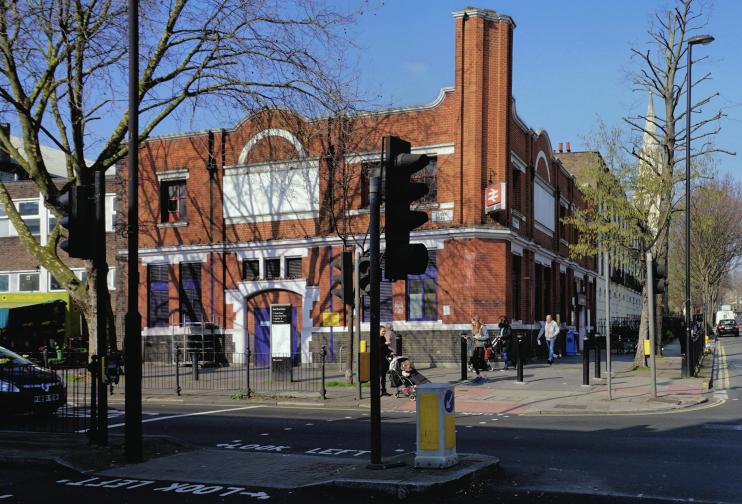 * The picture of Essex Road station at the top of this page is adapted from an original photograph, copyright Bill Boaden, at Geograph Britain and Ireland, made available under the Attribution-ShareAlike 2.0 Generic Licence. Any subsequent reuse is freely permitted under the terms of that licence.